Why shouldn't people who deplete our natural assets have to pay, and those who protect them reap profits? Conservation-minded entrepreneurs and others around the world are beginning to ask just that question, as the increasing scarcity of natural resources becomes a tangible threat to our own lives and our hopes for our children. 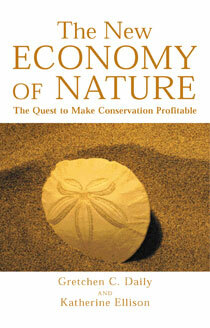 The New Economy of Nature brings together Gretchen Daily, one of the world's leading ecologists, with Katherine Ellison, a Pulitzer-prize winning journalist, to offer an engaging and informative look at a new "new economy" -- a system recognizing the economic value of natural systems and the potential profits in protecting them.